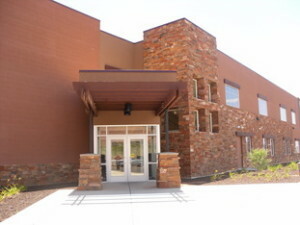 Red Mountain Elementary is located in the heart of Ivins at 263 East 200 South. The school is a part of the Washington County School District with grades Kindergarten through 5th. Visit their website at www.rmes.washK12.org for more information about their programs and staff. Recently the school entered a tree in the Jubilee of Trees and won a visit from the IHC lifeflight helicopter. The students were excited to have the helicopter land on school grounds and give them an opportunity to check it out. You can see a short video of their experience by visiting their website.